I truly believe that making school and learning fun and hands-on is the best way for kids to learn. If they are engaged in an activity then they are more likely to learn, and be happy doing it! 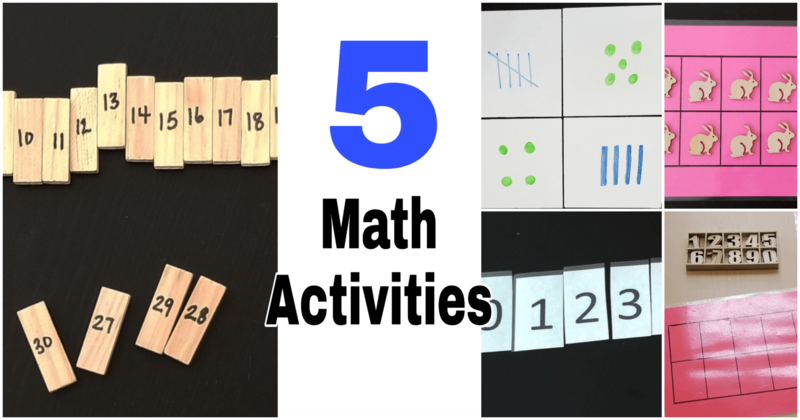 The math activities below are all hands-on and have been successfully used in a classroom and home school setting. 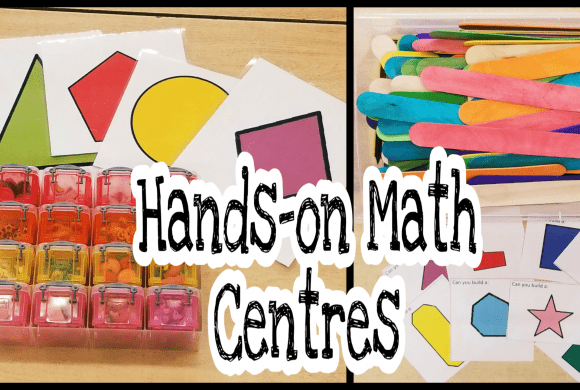 Try them out and get kids excited about math! 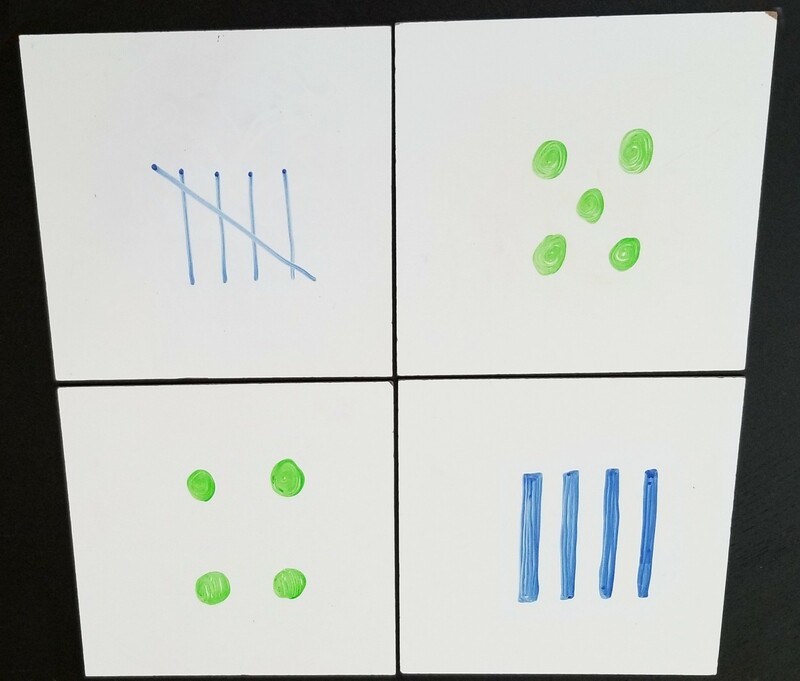 Ten frames are a great way to get kids to organize their work and numbers. I have a class set laminated that we use. For this activity each child received a ten frame along with 10 wooden bunnies. Any manipulative will work, but I used bunnies because we were working with a spring theme. For this activity, I used music to lead our math period. There are various counting songs online, and even YouTube. We used “5 Green and Speckled Frogs” to start us off. 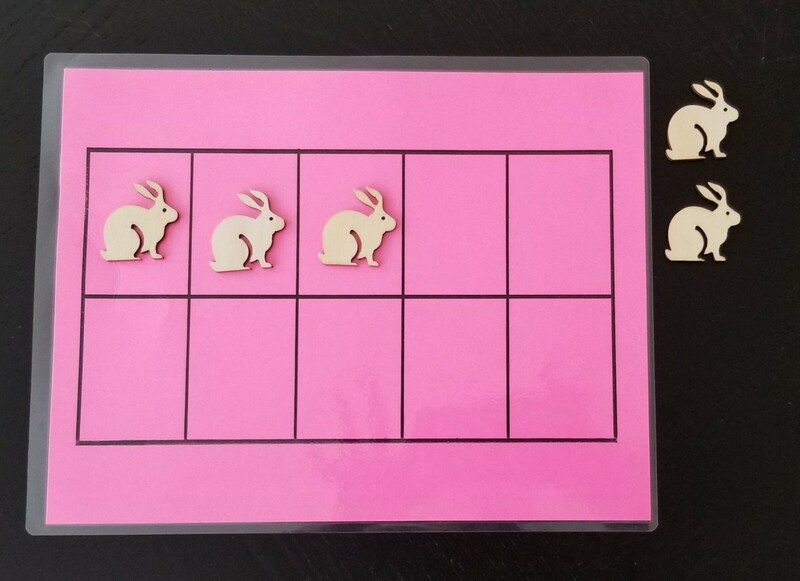 As the music plays, children follow along and move their bunnies off of the board as the frogs jump into the pond. 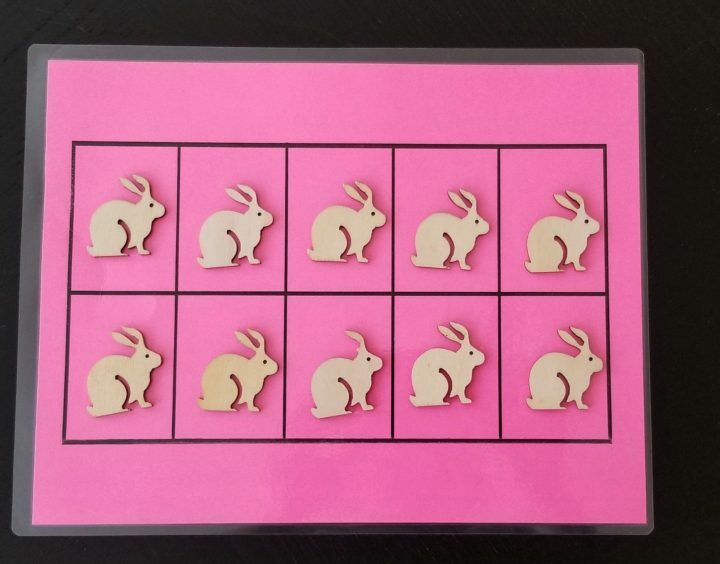 There are other songs that count from 1-10 that students placed a bunny on their ten frame as the number is said. The music keeps children engaged and it adds a great element to any math period. This is a really simple idea, but works so well with young kids. 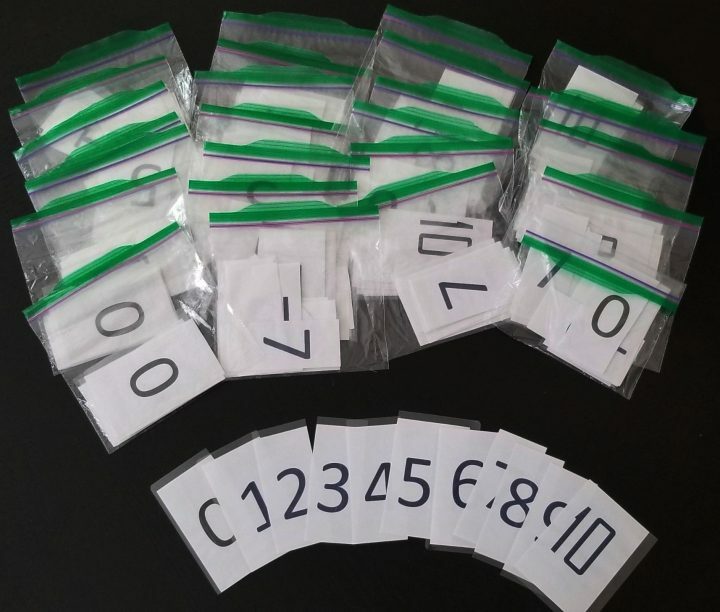 I laminated the numbers 0-10 and gave each student a bag filled with the numbers. First, I asked everyone to put the numbers in an order that makes sense to them. I then held up a specific number of fingers and asked everyone to find the number in their bag and hold it up. We tried this with several combinations of fingers. Next, everyone created a number line and we worked on counting up and down. For example, I asked children what number is 2 more than 5. They would count and hold up the number 7. I would ask them to show me a number greater than 8. They could hold up the 9 or 10. We did various other counting activities with the numbers the possibilities are endless. Giving each child their own set of numbers holds everyone accountable and also keeps them engaged. I love using white boards in my classroom and children love using them. I started by showing everyone my two white boards. One with 4 tally marks and the other with 5 dots. I asked them to tell me if the 2 boards showed the same (equal) amount and explain why. I found these wooden blocks at a dollar store, and my students loved using them. 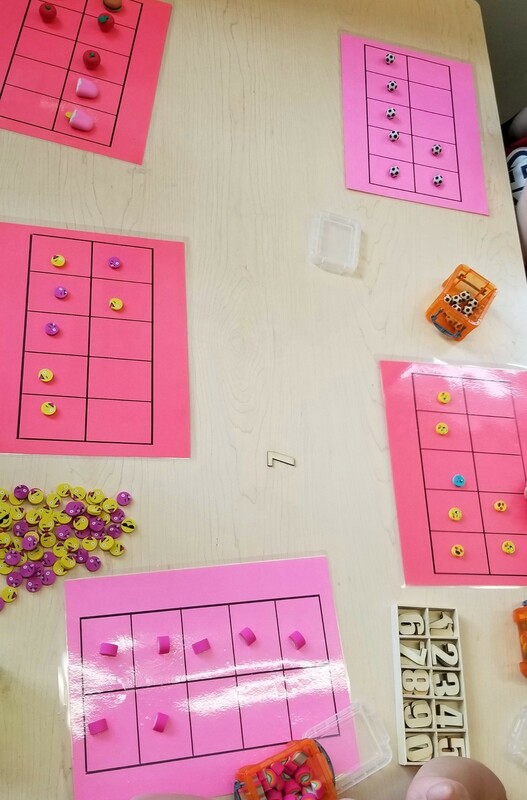 We have played math games (for game idea and printable click here) and even done STEM challenges with them (for ideas click here). They are perfect for hands-on learning. I printed numbers on the blocks and then children were challenged to put the blocks in numerical order. 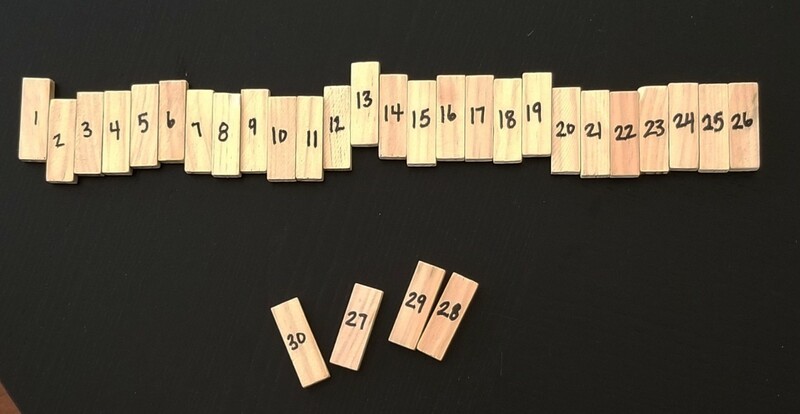 It is a very simple idea, but my students were really excited to create a number line in this way. 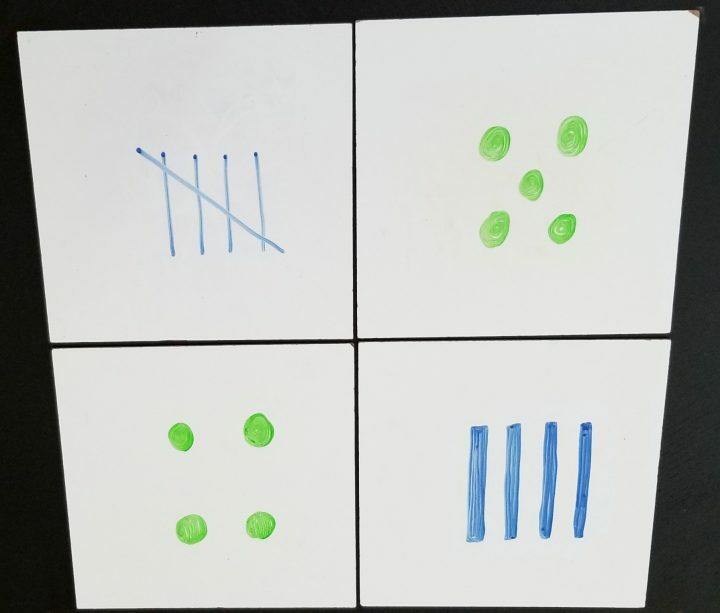 This math activity worked well with small groups, but could be done with a whole class or in pairs. I gave everyone a ten frame, and a container of mini erasers to use as manipulatives. One child started by choosing a wooden number and showing it to their group. Everyone in the group then had to create that number on their ten frame. Everyone took turns picking a number. 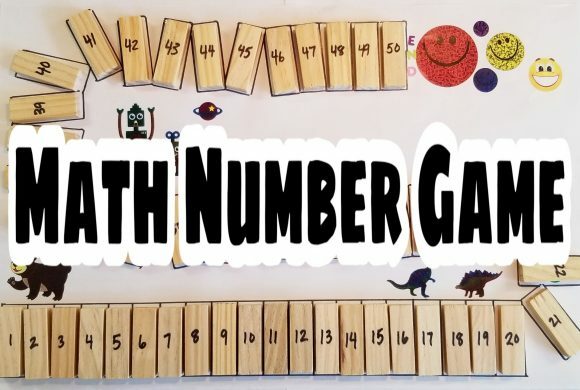 Children then had the choice between representing a number with mini erasers and everyone else had to find the wooden number or picking a wooden number for their friends to represent. 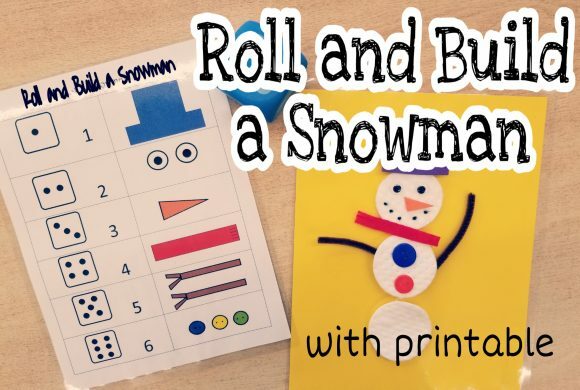 It is so easy to make math activities exciting and interesting!